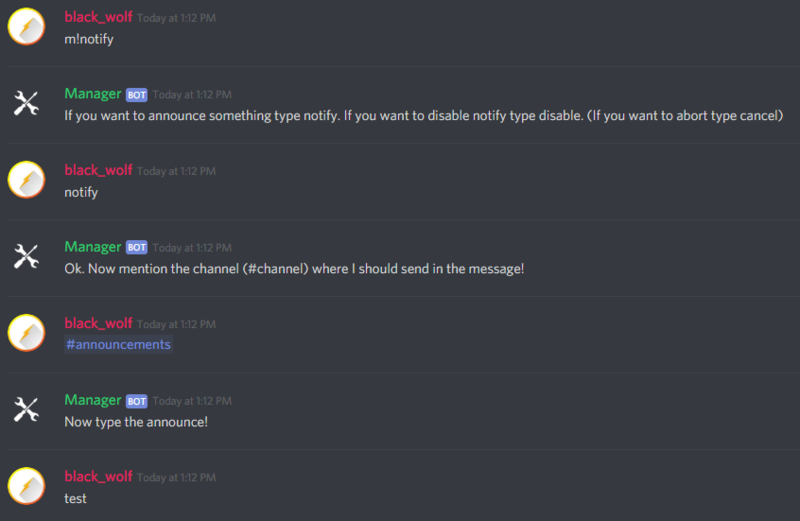 Set rules that users have to accept before they can see all channels. 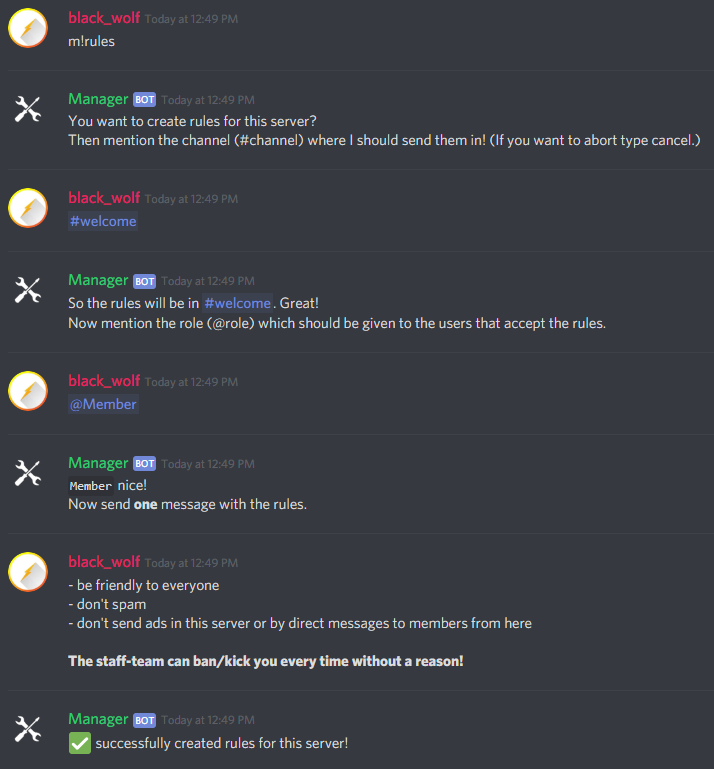 Creating rules is really easy! 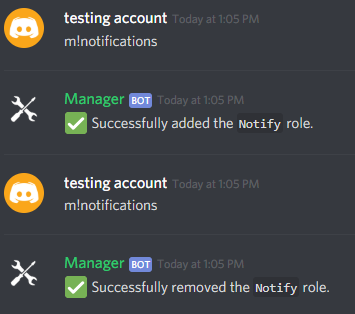 Enables a command with that users can give/remove the notify role to/from them. Announce: Sends your announcement in a beautiful embed. After sending the message Manager disables Allow anyone to @mention this role for the notify role to avoid abuse.